Craftin' Caro: Using the Sizzix Texturz plates in the Cuttlebug! Using the Sizzix Texturz plates in the Cuttlebug! 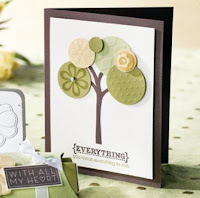 I've had a few people ask me if the new Backgrounds Texturz plates from Stampin' Up! will also fit in the Cuttlebug, as well as the Big Shot. I hope this information helps you Cuttlebug owners out there. That said, you have GOT to see the fabulous Big Shot Starter Kit sale I'll be having beginning February 1. Details will be here on the blog tomorrow morning, so be sure to come back and check it out!! Thanks for the sandwich info. One question...what is the shim? I have the cuttlebug and just bought some of the SU big shot BIGZ die cuts and can't seem to get it tight enough to cut the butterflys out. HELP! I don't want to return my die cut but at the same time I don't want to buy the Big Shot since I already own the cuttlebug. Can you help me figure out how to get it right?